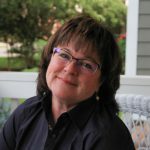 Nancy Kennedy, RN, BSN, MAPC, LPC, is a graduate of the Master of Arts Pastoral Counseling program at Loyola University Chicago, Institute of Pastoral Studies. She is continuing on at Claret Center as a counseling resident and serves as parish counselor at St. Francis Xavier Parish in LaGrange, Illinois. Nancy brings a rich background in working with individuals and families in crisis as a critical care nurse, as well as 25 years of family life. She has a passion for helping strengthen marriages and create healthy family environments. Nancy’s experience includes a working knowledge and zeal for holistic medicine, learning differences, child development, addiction recovery, codependence, spiritual direction and is trained as a domestic violence advocate. She works with the Archdiocese of Chicago Domestic Violence Outreach as an educator and parish support liaison.